From "Sign up" to Automation in 5 minutes! Install our extension to start recording tests in your browser. Type, click and interact with your site as you normally would. The recorder will capture all of your actions as you navigate your site.No worrying about complexities like nested iFrames or dynamic elements. You can then set assertions that will be checked to determine if the test has passed. No setup, no infrastructure & no lock-in. 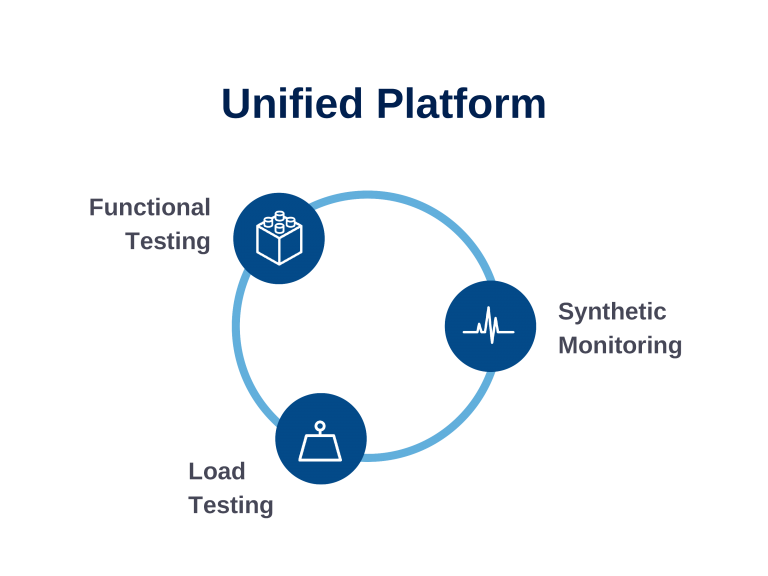 High volume parallel, scalable & collaborative testing in cloud. 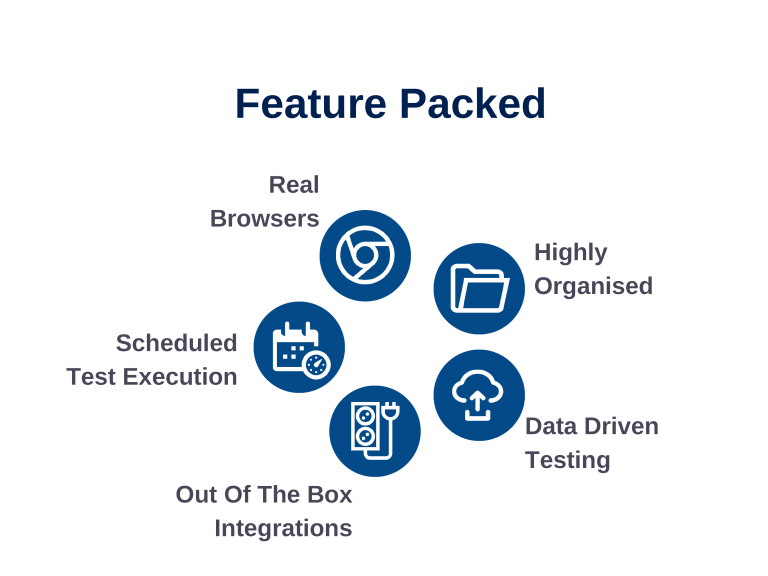 Out of the box support for legacy & latest web technologies. See live execution of your tests, share summary & detailed reports with screenshots. Integrate with your tech stack and setup custom notifications. 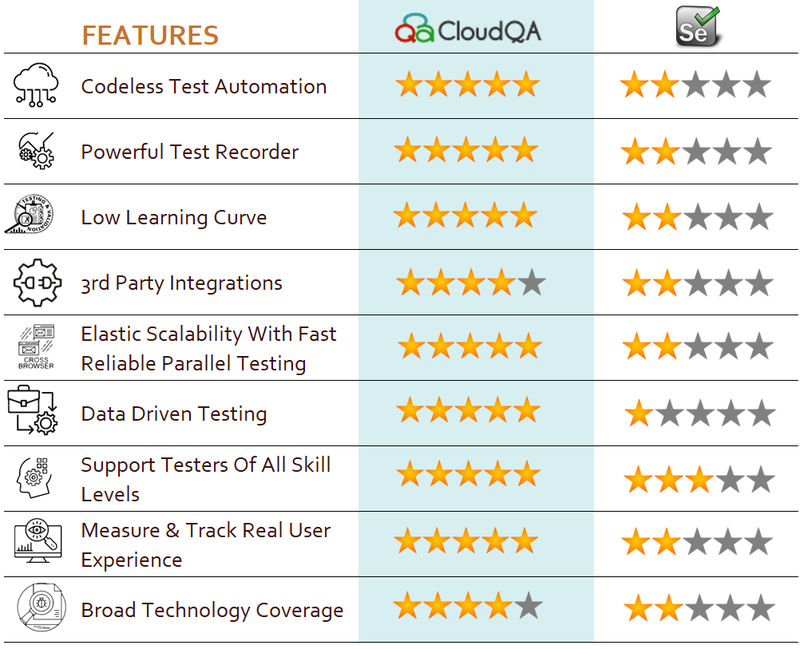 So, why would you consider CloudQA? Thanks a lot for all the effort and help provided to us for setting up our test suites in CloudQA platform. Turn around time for all the requests raised has also been fantastic. We appreciate all the effort by you and the support team!!! 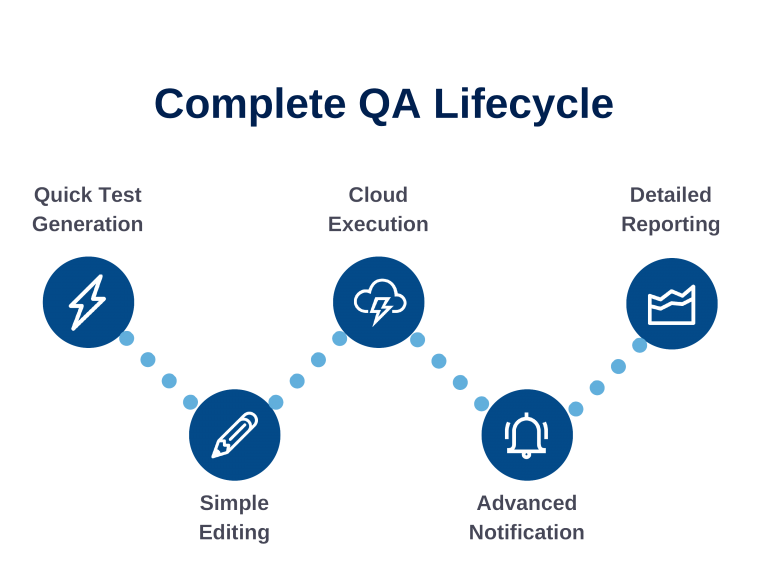 We find cloudQA to be very consistent in its test execution. Your support team is very helpful and are very quick to respond to our questions. Thanks for incorporating many of our feedbacks and feature suggestions into your development pipeline. CloudQA has filled a formerly persistent gap in my startup. I've replaced my moderately effective, off-shore QA team with a repeatable, consistent set of tests that I can rely on with confidence. Before CloudQA, testing my entire app with every weekly release has been time consuming and repetitive. 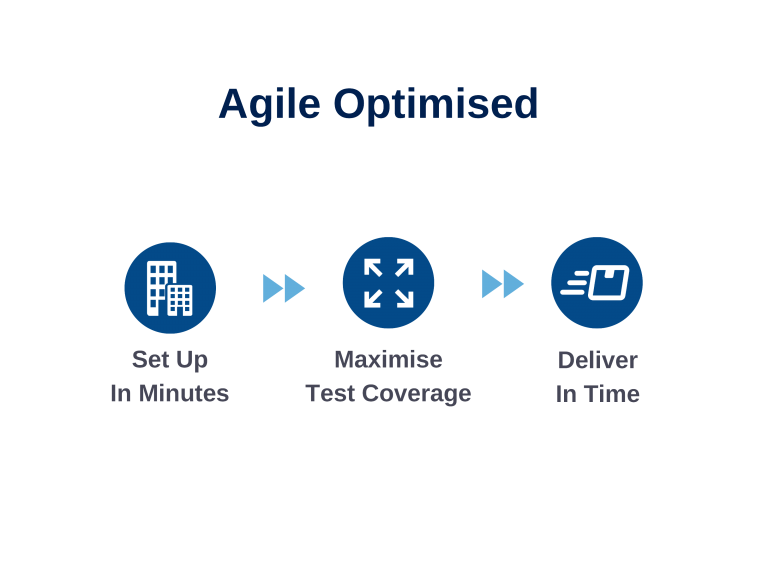 Do you require Testing as a Service? We can help. We will run the tests for you and provide detailed reports and statistics of the results. 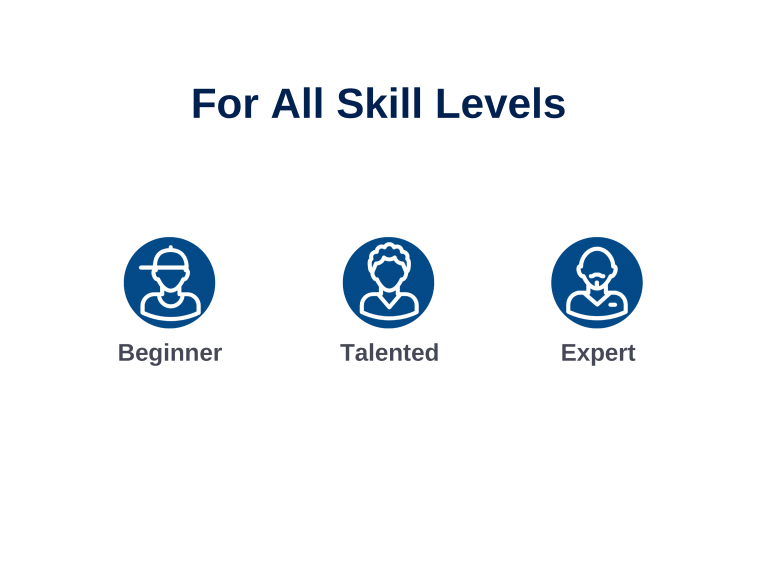 We will also provide recommendations for improving your development and test process. 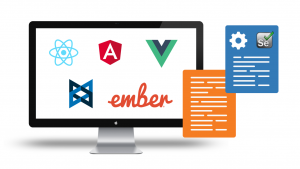 Single-page web applications are popular for their ability to improve the user experience. Except, test automation for Single-page apps can be difficult and time-consuming. 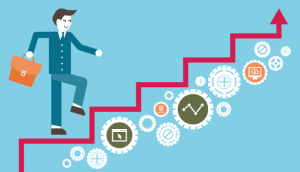 We’ll discuss how you can have a steady quality control without burning time and effort. The Selenium IDE is a record and playback testing tool. A Tester can use it to create test scripts without coding and export them (to Selenium WebDriver) for executing the test.